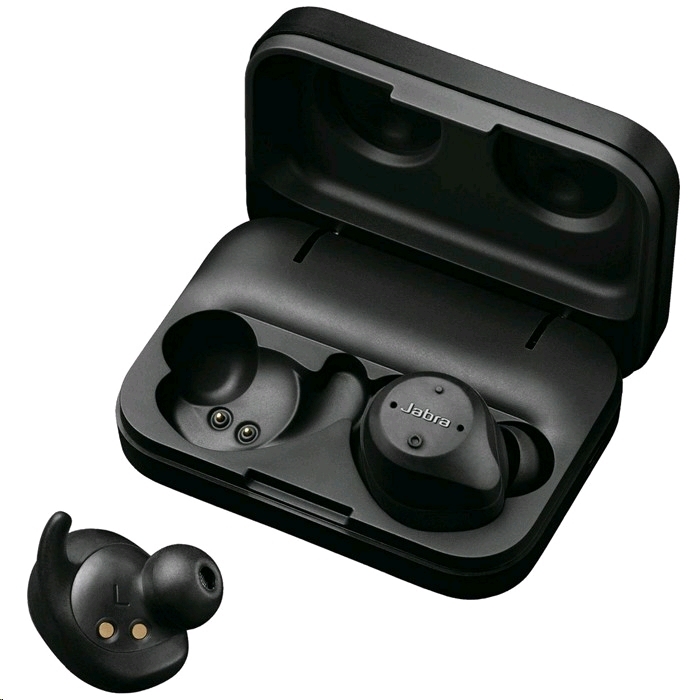 With 16 years of Bluetooth experience and a unique expertise in sound quality, the Jabra Elite Sport wireless earbuds guarantee superior sound and call quality. The bass-enriched speakers have four advanced microphones for superior call technology that filter out background noise, and make sure that only your voice is heard in every environment. Experience up to 3 hours of music or talk time, with an additional 6 hours with the on-the-go charging case included. Whether you are a seasoned athlete or simply enjoy fitness, relish in the freedom of true wireless and easy connectivity to your Android or Apple iOS smartphone. With customisable fitting options, the Jabra Elite Sport cord-free earbuds stay in place no matter how vigorous your work-out. Our unique wearing style allows you to choose to use either one or both earbuds. No matter how hard you push yourself, you will enjoy the ultimate comfort and secure fit that comes with being truly wireless. Personalised, real-time guidance with the integrated Jabra Sport Life app helps you get the most of each work-out. Whether it be monitoring a target pace or heart rate zone during a run, counting reps during a work-out circuit, or simply keeping track of your overall performance in real time, the in-ear audio coaching will assist you. This can be accomplished through heart rate training guidance, automatic rep count and automatic VO2 Max fitness testing, and advice on recovery to avoid overtraining. 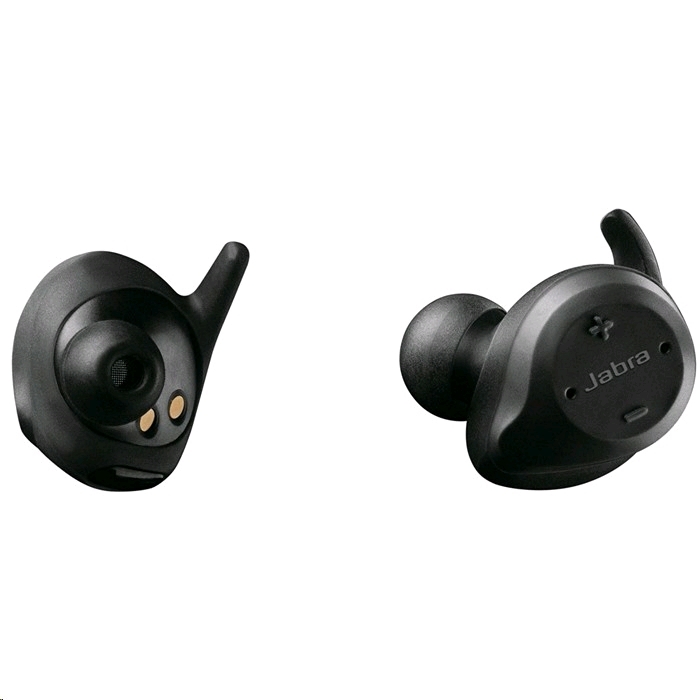 The Jabra Elite Sport wireless earbuds are designed to handle the ultimate high-energy training and workout sessions. These waterproof earbuds come with a 3-year limited warranty against failure from sweat damage (registration required**).